WHO WANTS TO RECORD FUSION MUSIC WITH A SIZZLING BENGALI BAUL? Eighteen years after he first comes to my apartment in New York, Babukishan Das, son and rhythm drummer of the celebrated Purna Das Baul, comes to visit me again in the Fall of 2003. I know him as Babu. He started out phoning me repeatedly a number of years ago. He wanted to come to the U.S. to connect with American musicians. He told me he has become a success in India writing music for a number of the films being ground out assembly "line-style in Bollywood, which is what India calls the capital of its thriving film industry. India's Bollywood, in fact, now rivals America's Hollywood in selling movie tickets. With its name obviously meant as a take-off of America's original movie capital, Bollywood, is located in India's teeming Bombay, now renamed Mumbai for local political reasons of which I am currently ignorant. Babu's Indian music is not like Ravi Shankar's sitar music. Babu is a Baul, a product of the famous Bengali Bauls, of which his grandfather, Nabani Das Baul, was the patriarch and of which his father, Purna, is currently the celebrated leader. The Bengali Bauls represent not a religion or a sect or a tribe but a way of life grown from performing in the streets. 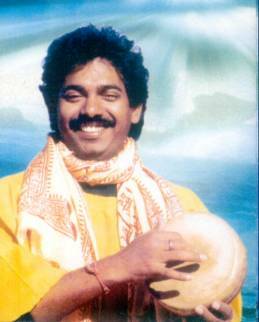 In other words, Baul music is one of India's folk musics. Fusing it with a combination of America's myriad musical genres is an interesting concept. Not a bad idea at all! In fact, the idea is so good, it started rekindling dreams of musical entrepreneurship in my battered brain. Babu starts out by phoning me a lot. I tell him to buy a computer and email me, because that'll be cheaper. He does just that and starts filling my inbox regularly. But, before we do anything else, he wants me to write a story about him for my website. He sends lots and lots of photos of himself. Every day. I get another email from Babu full of information about himself and about the Bauls. Soon, he sweet talks a web-tekki named Mary into setting up a Babukishan website for him. But when I finally go to his website to look it over, I get this message: "BROKEN HEART--SITE CLOSED." Turns out that Mary and Babu had a spat and she closed down Babu's website. Next thing you know, Mary thinks it over and recognizes Babu is just following the Baul way of life, which is Casual with a capital C. Next thing you know, Mary fills my inbox with 24 messages containing all the material that had been on the website she erased. Eventually, Babu tells me she now calls herself Mary Das Baul. In New York, Babu is in Queens. My keyboardist son, Joel Roi, volunteers to go get him. Soon, Babu is here in my crowded apartment. It turns out that although Babu, now 41, has a big hit in India and claims to've made a name for himself in Bollywood's relentless movie mill, he still has to tour with his father, the great Purna Das. That's why he's in the U.S. He's touring with his father's troupe, performing for the most part before Indian "migr? audiences across our nation. In my pad, which is strewn with papers, cassettes, books, pamphlets, computers, files, file cabinets and everything else I can't find when I need it, Babu says he has a kurta punjabi for me---a long Indian shirt like the silk and elegant bright orange one he's wearing. Only, the kurta punjabi is back in Queens. He's forgotten to bring it with him. He brings me a cassette of his hit, Soulmate, on MIL MUSIC INDIA, which Babu tells me is topping India's music charts. We play it and I find it lilting, delightful and endearing. Again, Babu tells me he wants me to write a story about him like the one I wrote about his father 18 years ago. I tell him I will when I get around to it. That evening, my son drives Babu to my old friend David Amram's farm in Westchester. David is a famous master musician, who conducts symphony orchestras, leads a jazz group, is a French horn virtuoso, plays almost every other musical instrument known to man and delights audiences by accompanying himself while singing rap songs he improvises on the spot---something akin to the spontaneous bop prosody of his one-time buddy, Beat Generation saint Jack Kerouac. Before leaving my place, Babu says he will be back to see me in a day or two. When I ask Joel Roi what happened when Babu and Amram jammed together that night, he gives me an answer in one word: "Magic." Dammit! And I couldn't be there! I had to stay chained to my computer. 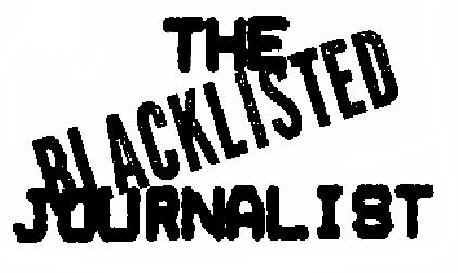 I had an issue of THE BLACKISTED JOURNALIST to get on the web. Or was I being pressed to get VOLUME FOUR OF THE BEST OF THE BLACKLISTED JOURNALIST ready for 1st Books Library, the print-on-demand press in Indiana? There are too many things happening at once. In the meantime, I am in contact with Sally Grossman, the person who, after being alerted to them by Allen Ginsberg, discovered the Bengali Bauls during her trips to India years ago. She is also the one who brought the Bauls to the attention of Bob Dylan and, in addition, she is is the inheritor of the Bearsville estate of her late husband, music magnate Albert Grossman, the entrepreneur who managed Dylan's rise to prominence. Sally graciously offers her Bearsville Studio as a place to record Babu's fusion music---on condition that David Amram is in charge of the production. wow! i am glad to know that they like to do fusion music with my music. great!!! i'll be in in new york 10th dec and 'll be there up to 30th dec. tell joe i am happy to hear.how r u? The bauls are called bauls because they are mad people. The word 'baul' comes from the ancient language sanskrit root 'vatul'. It means: mad, affected by wind. The baul belongs to no religion. He is neither Hindu nor Muslim nor Christian nor Buddhist. He is a simple human being. His rebellion is total. He doesn't belong to anybody, he only belongs to himself. He lives in a no-man's land. No country is his, no religion is his, no scripture is his. Bauls have nothing..no scripture, not even to burn, no church, no temple, no mosque..Nothing whatsoever. A Baul is a man always on the road. He has no house, no abode. God is his only abode and the whole sky is his shelter. He possesses nothing except a poor man's quilt, a small hand-made one-stringed instrument called "ektara? and a small drum, a kettle drum called "baaya." That's all that he possesses---a musical instrument and a drum. He plays with one hand on the ektara and he goes on beating the drum with the other. The drum hangs by the side of his body and he dances. That is all of his religion. Dance is his religion, singing is his worship. He does not even use the word "God."
. . . on the waves of song and on the dancing, he moves withinwards. He goes on moving like a beggar, singing songs. He has nothing to preach. His whole preaching is his poetry. And his poetry is also not ordinary poetry. He's not consciously a poet. He sings because his heart is singing. Poetry follows him like a shadow. . .He lives his poetry. That's his passion and his very life. His dance is almost insane. He has never been trained to dance. He even doesn't know anything about the art of dancing. He dances like a madman, like whirlwind. And he lives very spontaneously. We are the bird people---we do not know how to walk, we like to fly." And, so Babu's own musical group back in India is called 'the Birds." Did you ever try to catch a bird? That's like trying to catch Babu. In my rekindled dream of musical entrepreneurship, I want to rope him into recording the magic he made with David Amram the night I wasn't there. He turns up in New York again in December of 2003 and I try to get my musician friends together. I even contact Garth Hudson, The Band's former keyboardist, with whom I helped produce The Bengali Bauls at Big Pink many years ago. But Garth is touring. David Amram is also preparing to tour. He's going on the road with Jack Kerouac's 'sacred scroll," Jack's manuscript of On The Road. As for Hayes Greenfield, he's otherwise busy. And Julian Fenton is still in London. Sally Grossman isn't even around. She's avoiding the winter cold in Palm Springs. So, Babu spends a night jamming with Joel Roi and one of Joel's musician friends. Joel has invented a device that enables him to stroll and play his keyboard while it's strapped around his neck like a guitar and the next night, he brings Babu to my cramped apartment. Here, Babu delivers the promised kurta punjabi to me. Equipped with a dupki, which is something like a tambourine, and also with a bracelet that he calls a ghoonghoor, Babu begins to jam with Joel in my cramped apartment. They get a riff going, with Babu hitting the dupki and shaking the ghoonghoor with hypnotizing percussion. Before long, Babu starts singing in Hindi and then starts dancing in my cramped place. There's room only for Joel to sit while I'm perched on the edge of my cot. I can't understand a word of what Babu's singing, but he's sizzling. I find myself spellbound by the gracefulness of his dancing and the passion in his voice. Once again, my dreams of musical entrepreneurship start burning and I?m compelled to imagine girls singing a background refrain in English. Enraptured by the show Babu is putting on, I find myself compelled to rise up on my frail legs and start to dance with Babu. But there's room enough only for me to take a few awkward steps.